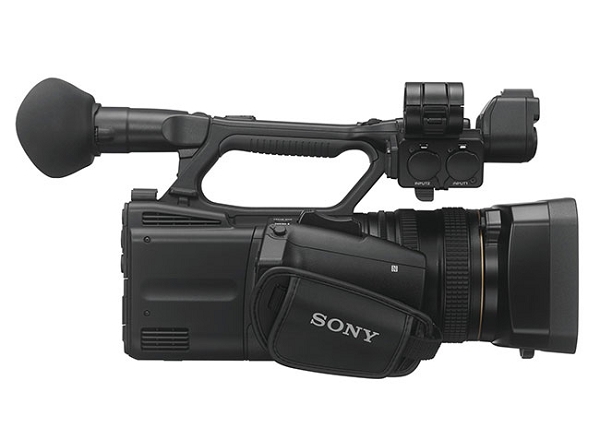 The Sony HXR-NX5R Full HD Camcorder is a full-featured update of the HXR-NX5 and HXR-NX3 that boasts XAVC S recording, 3G-SDI output, and wireless workflow. Constructed with a 3x 1/2.8-type Full HD Exmor CMOS system, crystal-sharp images are captured at a 2.07 million effective pixel count at the 16:9 aspect ratio. Built-in features include an adjustable brightness LED video light and an advanced Multi-Interface (MI) Shoe to power and control key accessories. 3x 1/2.8″ Full HD Exmor CMOS. RGB three-chip CMOS provides rich color, high resolution, high sensitivity, and wide dynamic range. It’s advanced LSI features intelligent noise reduction, enhanced detail reproduction, and distortion correction technologies. Built-In LED. The HXR-NX5R’s built-in LED video light is easily adjustable and sits above the built-in microphone. Illumination is approximately 200 lux/1m with a beam angle of 30 degrees and a color temperature of approximately 5500K. Networked for high usability. Live internet stream from any event using hassle-free Ustream™ service or a generic streaming mode for a local area network for a secure corporate presentation. Remote control makes the NX5R perfect for multi-camera shoots. Mount on a tripod and use your smart phone or tablet to monitor and control focus, zoom, iris, REC START/STOP and more. FTP allows you to click and send Full-HD content to your editor for fast breaking news stories. Dual media slots. To extend recording time and workflow flexibility, the NX5R has dual media slots compatible with SDXC and SDHC cards as well as Memory Stick PRO Duo (Mark 2) and PRO-HG Duo. Relay mode automatically switches recording from the first to the second memory card when the first is full; Simul mode allows simultaneous recording to two memory cards (for example to create a back-up). Start/Stop buttons on the NX5R’s handle grip and camcorder body can independently start and stop recording on different memory cards in Simul mode. Multi-Interface (MI) Shoe. 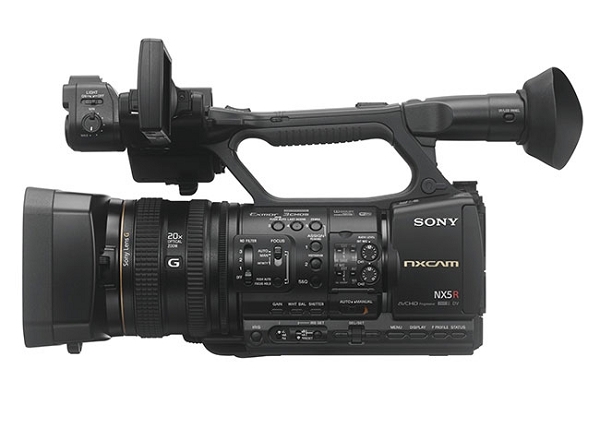 The NX5R takes advantage of Sony’s flexible Multi-Interface (MI) Shoe, which provides power, signal connections and coordinated on/off switching to compatible Sony accessories. For example, you can connect and control Sony wireless microphone systems such as the UWP-D11 or UWP-D12 (sold separately). Wide choice of connections including 3G-SDI. 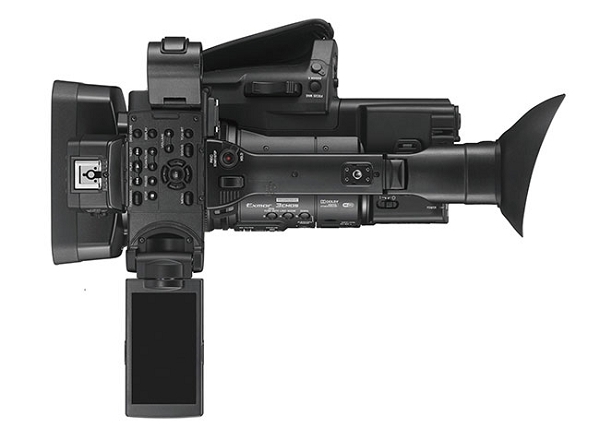 The NX5R provides all the connectivity options professionals expect, including 3G-SDI (Full HD 50p/60p output), plus REMOTE, composite (BNC) and audio XLR terminals. Get closer with 40x zoom. The NX5R’S high-performance Sony G lens offers an expansive 28.8 mm (35mm full-frame format equivalent) angle of view at the wide end and a stunning 40X zoom. The 20x optical zoom range will easily cover most shooting situations, but when more reach is required, Sony’s advanced Clear Image Zoom employs Super Resolution Technology to double your optical zoom up to 40x while still delivering exceptional image quality. Multi-format recording. The NX5R is designed to provide the absolute best performance for Full HD productions, recording in AVCHD and DV to support proven legacy workflows, as well as the newer, more advanced XAVC S at 50Mbps. XAVC S offers stunning picture quality, but also workflow flexibility and storage efficiency. In XAVC S, the NX5R uses the MP4 file format, sampling at 50Mbps. Compared to AVCHD, XAVC S 50Mbps captures more details and less noise thanks to the higher bitrate. Depending on your region, separate models are available offering recording frame rates of 50p Full HD and 50i SD (PAL model), or 60p Full HD and 60i SD (NTSC model). Flexible controls. All of the NX5R’s key functions are at your fingertips – from intuitive Direct Menu controls to a responsive joystick on the hand grip. Direct Menu options display on-screen, so shooting parameters can be changed quickly and conveniently without taking your eyes off the action. Precision monitoring. However you choose to shoot, the NX5R adapts to fit your style. 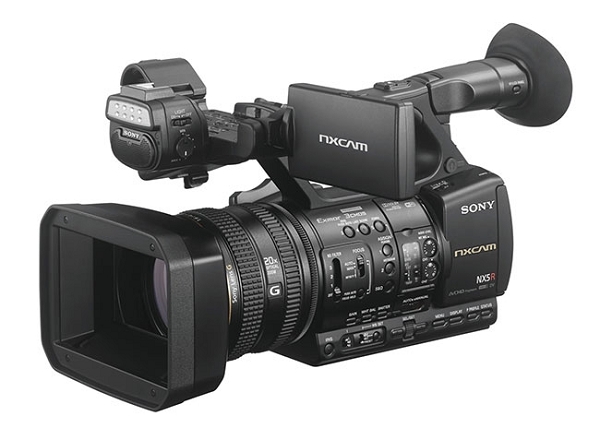 It has a high visibility wide viewing angle and high contrast 0.39-type 1440K OLED viewfinder and an easily adjustable, flip-out 3.5-type 1550K LCD, for precision monitoring and low latency.